One of natures most beautiful, but yet very fragile, creatures are undoubtedly the butterflies. 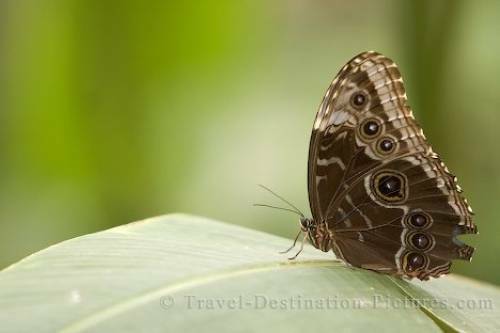 Seeing and photographing these magnificent creatures in a butterly garden is a very rewarding experience. Picture of a brown butterfly on a green leaf.